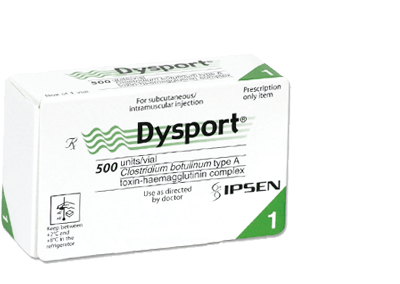 Dysport is a botulinum toxin type-A (abobotulinumtoxinA) an injectable for non-invasive aesthetic treatments. Dysport treats moderate to severe frown lines between the eyebrows by reducing specific muscle activity, which results in less wrinkling over the overlying skin impeding nerve signals to the muscles. 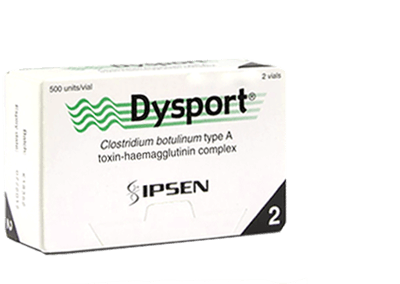 Dysport is toxin diluted in lactose.